Do you experience long-term muscle tenderness or joint pain that affects your everyday life? Are you worried it will only get worse? Fibromyalgia is an unusual medical condition thought to affect up to 6% of the population, particularly middle-aged women (1). While it cannot be completely cured, it can be treated… and what you eat appears to be a fundamental piece of the puzzle. 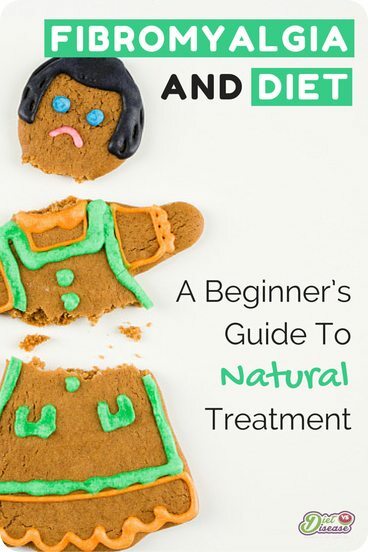 This is a beginner’s guide on fibromyalgia and diet. Are there natural remedies or diets for fibromyalgia? 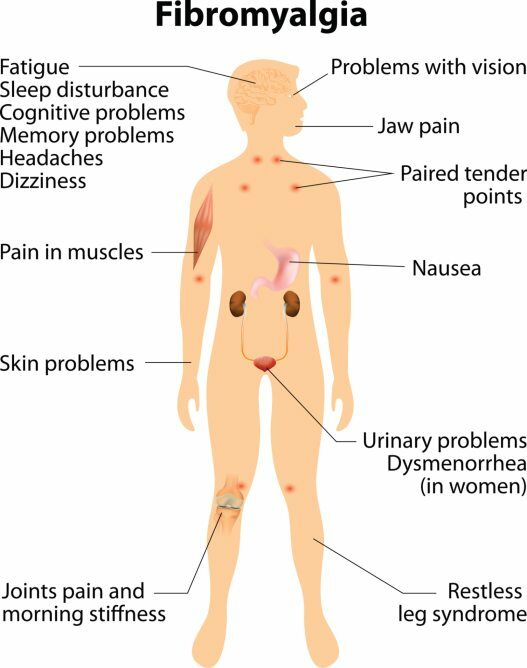 Fibromyalgia is a health condition characterised by long-term and widespread pain (not specific to one particular area). Other symptoms can include a heightened pain-response to physical pressure, abnormal pain or function in the bowel or bladder, excessive tiredness, stiff joints, poor sleep, and even neurological problems to do with memory and anxiety (2, 3, 4, 5). For a long time there was some debate about the validity of the condition, but it is now a recognized disorder by the US National Institutes of Health and the American College of Rheumatology. The cause has not yet been proven, but there are probably numerous factors involved. One theory is that it fibromyalgia is the consequence of early life stress or prolonged or severe stress. In genetically susceptible individuals, this could alter how neurons in the brain fire and function, influencing how we interpret pain and emotion (6). These biological abnormalities may not only affect the nervous system, but cause physical differences in the brain. Studies of brain anatomy show structural differences between the brains of fibromyalgia patients and healthy individuals, which could also be the underlying cause for the physical and psychological symptoms (6). 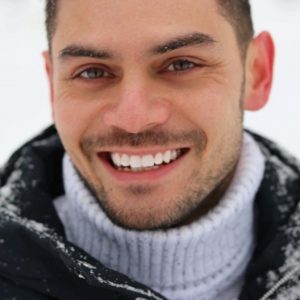 The only widely acknowledged forms of treatment are pharmaceutical drugs – particularly antidepressant medications – and physical exercise, including things like physical therapy and yoga (7). Diet, food intolerances and nutrition supplements are still being investigated for their role either in prevention or treatment. Summary: Fibromyalgia is a recognised health condition characterised by widespread, non-specific pain and sensitivity that remains long-term. It is thought to be triggered by prolonged stress and likely has a strong genetic component. The link between fibromyalgia and diet is emerging but remains a new area of research. Unless we consider nutrition supplements as “natural”, there are currently no proven natural remedies or treatments for fibromyalgia, from a dietary aspect. However, there are a few steps you can take yourself that may help prevent symptoms from escalating in the first place, so that they are much more tolerable. Many fibromyalgia sufferers report that certain foods trigger more severe symptoms than others. In fact, one study found that 42% of fibromyalgia patients reported their symptoms worsened after eating certain foods (21). Discovering your own food sensitivities, and then cutting down or abstaining completely from those trigger foods, may be the most important thing you can do. In order to do this, you must keep a daily food diary of what you eat and when, as well as if you had any bad reactions or symptoms. Doing this consistently for several weeks allows you to visually identify trends between what you eat and the symptoms. 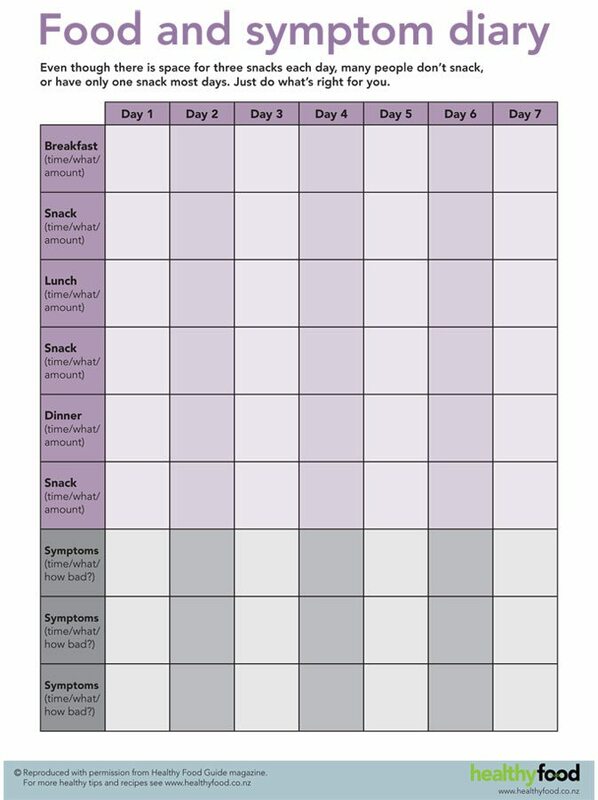 Once you have kept a food diary for at least 2 weeks, you can begin what is known as an elimination challenge diet. As the name suggests, you eliminate certain foods for a period of time, usually three or four weeks. Then you slowly reintroduce specific foods and monitor your symptoms for possible reactions. This is the only way to determine what type of food may be causing your symptoms to get worse. Based on your 2-week food diary, if (for example) you notice that symptoms are worse the day after you eat a large amount of pasta, gluten may be the culprit. You would then eliminate all sources of gluten from your diet for at least 3 weeks (another reason why expert supervision is recommended) and observe the results. This allows all gluten to be cleared from your system, so you have a “clean slate” so to speak. This is followed by a slow re-introduction of gluten-containing foods. At this point you will be able to see if gluten was causing you any problems or not. Alternatively, you can eliminate numerous food groups all at the same time- which takes a lot more work (and supervision) – but has a much greater payoff down the track. Then you would reintroduce food groups one at a time. Summary: Certain foods and food groups are often reported as triggers for fibromyalgia. By first identifying what foods give you problems, and then eliminating them in a systematic way, you can prevent or greatly minimise symptoms. This can be done with a daily food diary followed by an elimination challenge diet. 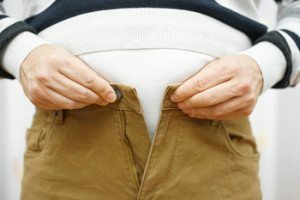 There is no doubt that being overweight increases the pain in your joints. The more weight on our skeleton, the more pressure that is applied to the bones and joints. Accordingly then, losing excess weight helps to relieve this pain. But it appears that those who are overweight, and have fibromyalgia, experience increased muscle pain on top of the joint pain. A study of 179 diagnosed women, aged 20-75 years, found that being overweight was significantly associated with increased pain severity, reduced physical mobility, and poorer quality of life overall (22). In other words, maintaining a healthy weight is fundamental to effectively treating fibromyalgia. Now it’s unrealistic to expect that weight-loss exercise programs will be effective long-term when you consider how extreme fibromyalgia-related fatigue can be. Fortunately it’s well-established that what you eat is far more important than exercise when it comes to weight loss… so it all circles back to your diet. Your priority should be finding a healthy eating pattern that you can sustain long-term, and that factors in your food sensitivities (if any). 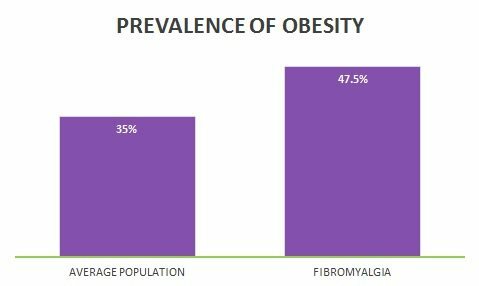 Summary: Studies show that if you are overweight, fibromyalgia symptoms become much worse and much more difficult to treat. It is well-established that when it comes to weight loss, what you eat is far more important than exercise, which is why following a healthy diet should be your main priority. The link between fibromyalgia and diet is still a murky area of research. 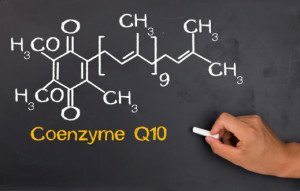 Coenzyme Q10 (CoQ10), also known as ubiquinone, is a vitamin-like substance in our cells. It functions as an antioxidant and the majority of CoQ10 is made by the body itself. Those with fibromyalgia appear to have much lower concentrations of CoQ10 in the blood. This is linked with higher levels of cell damage, which is thought to be a big part in why it develops in the first place (8, 9). In a small study of 35 patients, 20 of which had fibromyalgia, 300 mg of CoQ10 (ubiquinone) supplementation daily for three months was shown to increase CoQ10 levels back to normal (10). Two other clinical trials also found improvements with doses of either 100 mg or 300 mg per day for at least 40 days. The higher dose especially was linked with less pain, fatigue, and joint soreness/stiffness (11, 12). Based on these early studies, supplementation of at least 100 mg per day of COQ10 is recommended to anyone suffering from fibromyalgia. You can find a good range of CoQ10 supplements on amazon. It is also worth ensuring you include some CoQ10-rich foods into your regular diet, such as herring, broccoli and cauliflower. D-Ribose is an organic compound produced by the body. It has a central role in metabolism, and is involved with energy production (ATP). Those with fibromyalgia and chronic fatigue syndrome are thought to have reduced ATP levels (of which D-ribose is a component), so it’s been speculated that additional D-ribose may improve energy-related symptoms (13). 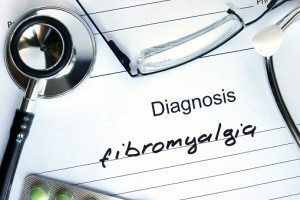 A case study of one woman with fibromyalgia observed that 10 grams of D-ribose per day, taken alongside other medication, greatly reduced symptoms. Those symptoms were said to have returned one week after the supplement was stopped (14). 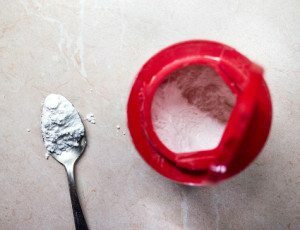 The only study so far found that 15 grams of D-ribose per day for just under three weeks was associated with improvements in energy, sleep, and well-being with an increased pain threshold- as reported by the study participants themselves. However, know that the study was not well-designed and was carried out by a D-ribose supplement manufacturer (15). D-ribose can be bought as an over the counter supplement, and there is a good range on Amazon, but I’d try CoQ10 first. S-Adenosyl Methionine (best known as SAMe) is a compound produced by the body that is involved in many chemical processes. Low SAMe levels are associated with depressive symptoms, and supplementation may aid a partial deficiency. Small studies that trialled SAMe injections on patients with fibromyalgia noted improvements in ratings of mood and muscle tenderness (16, 17). This has been followed up with one clinical trial using oral SAMe supplementation. The study included 44 subjects with fibromyalgia that were supplemented with 800 mg of SAMe per day for six weeks. Compared with those taking the placebo supplement, a dramatic improvement was observed for muscle tenderness, a minor benefit to morning stiffness, and no apparent benefit for muscular strength. Self-rated soreness and fatigue was also much greater in the SAMe group (18). It certainly seems promising, but there has been no similar studies conducted since, which is generally required before we can draw any concrete conclusions. Chlorella is a freshwater algae that is very similar to Spirulina. One study on 18 subjects with fibromyalgia found that 10 grams of chlorella supplementation for two months was linked with a 22% reduction in pain (self-reported). Two people actually reported greater than 50% improvement (19). The mechanism by which it would help with pain-relief is not understood as it is typically used to supplement nutrient deficiencies more than anything else. Study authors concluded that larger, more well-controlled studies are required before we make any sweeping statements about its effectiveness for fibromyalgia. L-Carnitine is a compound made by the body that is involved in energy metabolism and cell protection. It has been suggested that fibromyalgia may be associated with metabolic alterations including a deficiency in carnitine. Naturally then, supplementing a form of carnitine might help. Similarly to chlorella, however, evidence it can benefit fibromyalgia patients is based entirely on one small study. Researchers found that 1 gram of Acetyl-L-Carnitine (known as ALCAR) per day was associated with significant improvements in symptoms of fibromyalgia compared to placebo. Although note that this benefit was only experienced after 6 weeks of treatment (20). Summary: A handful of nutrition supplements have been studied for treating symptoms of fibromyalgia. There is strong evidence that 100-300 mg per day of COQ10 supplementation can help, and D-ribose may be beneficial as well. But the evidence for SAMe, chlorella and L-carnitine is weak at this stage and should not be your first choice. Fibromyalgia is a complex condition to treat, but your diet appears to be a fundamental piece of the puzzle. Aside from pharmaceutical drugs (which are proven to help), there is some good evidence that certain nutrition supplements, such as CoQ10, can help manage symptoms and relieve pain. Almost half of all fibromyalgia patients also report that certain foods trigger their symptoms. Actively keeping a food diary, followed by an elimination diet challenge, is the only way to learn if any foods or nutrients are driving your symptoms. Being overweight is also thought to exacerbate symptoms, so following an eating pattern that will help you maintain a healthy weight long-term is critical as well. When you consider all these different elements, it’s evident that fibromyalgia is not in your head, it’s on your plate. I was battling with RA for 14 years, along with my RA I have Fibromyalgia. I was Enbrel, cymbalta, flexeril, and prednisone. I don’t like taking prednisone due to the horrible long term reports I have heard about. My doctor has suggested I take Leflunomide to replace prednisone. December Last year i decided to look for permanent cure for both diseases, i saw so many reviews online about (Best Health Herbal Centre), so many people said they cure different kinds of deadly diseases including RA and Fibromyalgia. anything about O B D oil?